Gelanots is not a fabric we had seen before but this Japanese membrane’s breathability comes from molecular structure of the Polyurethane, rather than microscopic pores. theoretically, the more you sweat, the hotter you get and the more moisture is pulled from inside to out. Add to this the fact that the material is stretchy, and wipes clean of road grime better than many and its no surprise we liked it. Factor in a cut that’s nigh on perfect and you end up with a superb fitting jacket that performed as well, if not better, than the class leaders to date. Watch out for a full test, as its fair to say we like this piece. Sorry Mate I Didn’t See You doesn’t cut it with a RedEye light, that’s for sure! 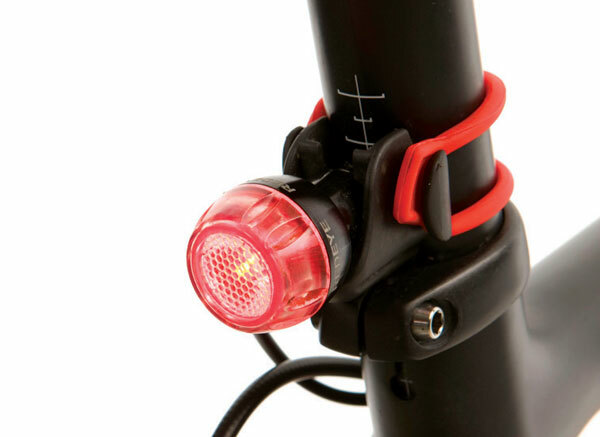 The 80 Lumen rear light plugs into the charging port of the latest generation of Exposure front lights removing the need to charge or replace batteries for rear visibility. To say we liked the concept is an understatement and for the perennial ‘forget to charge’ types, one less thing to remember is great to ensure that after work training gets done. It took a while to devise a cable wrapping strategy to prevent the excess flapping, but once done, there is very little negative you can say. Too Bright perhaps? That’s peace of mind in our books! Winter tyres are a real two camp affair – on one hand there’s the ‘no puncture at any cost’ crowd, on the other are the ‘ride feel’s still required, but a bit tougher’ posse. 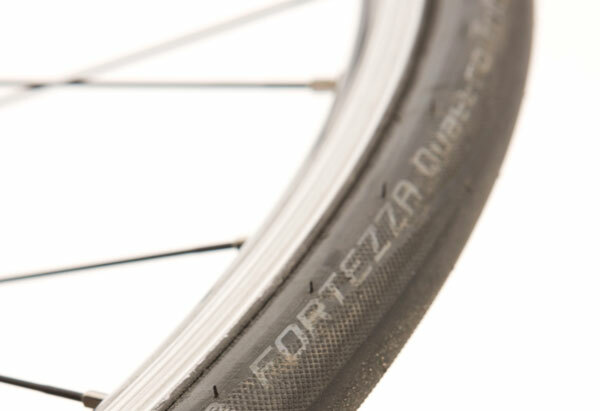 This rubber definitely fits into the latter camp, the carcass is suitably supple as it is shared with the summer road biased Fortezza. Extra puncture resistance comes by way of a tough breaker belt under the tread maintaining road feel so the tyre isn’t overly stiffened by thicker tread or reinforced sidewalls. Road feel, and rolling resistance are almost up with warm weather rubber and for a tyre promising extra protection against winter roads and training miles, that’s no bad thing. This article was first published in the March 8 issue of Cycling Weekly. You can also read our magazines on Zinio and download from the Apple store.